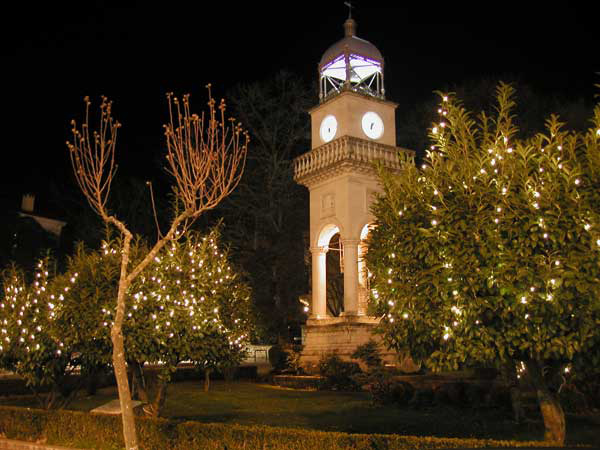 Located in the center of town and is a successful mixture of neoclassical, Mediterranean and Oriental style with characteristic fountains covering the four sides. Osman Pasha the Kurd, vali and general commander of Epirus and southern Albania from 1897 to 1905, wanting to celebrate the Jubilee of Sultan Abdul Chamit Khan decided to erect a commemorative tower employing for this purpose Pericles Meliryttous, an architect who used for the construction marble carvers and masons from Konitsa, Kastaniani and Vourbiani. Erected in no time in the center of the square and not on the current location. 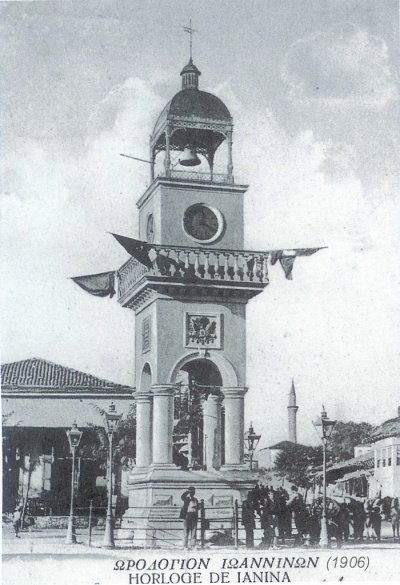 In the summer of 1922 during a parade to celebrate the victory of the Allies in the First World War the railing clock dismantled so the general commander of Epirus Aristides Stergiadis required from the Mayor of Ioannina G.Ioannidi to be transferred to another location. 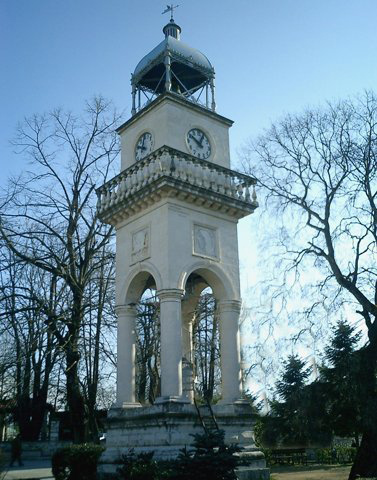 Under Mayor Vasilios Pyrsinella in 1925 the restoration took place by replacing the broken bell.